Every day I comb through the listings on Craigs List. If I’m going to get serious about riding around the world I should probably get a motorcycle I can do it on right? I came across a 2001 KLR650 with 13,000 miles, luggage and tons of accessories going for $3,000, which is an awesome price! After I saw it my heart began pounding! Setting my eyes on a bike that was attainable and could take me around the world just made a huge impression on me. It was making it a reality. I went down the list of mods like a kid skipping down the aisle of a toy store. It has engine guards! Oooo a taller windscreen! Even includes the service manual! OMG it has a heavy duty skid plate too!!! I really did have my heart set on a BMW anyways, so perhaps this is for the better. I went to the BMW shop in Scottsdale, AZ to pickup some accessories for my new Gerbing heated jacket liner. Of course I couldn’t help but check out the new F800GS. That sucker is tall! As I drooled over the bike a salesman approached and started chatting me up. I’m always amused by motorcycle salesman now a days. I know they peg me for a young thrill seeking speed demon and I always throw them for a loop. One salesman even gave me the line, “Are you ready to put some speed into your life?” The BMW guy wasn’t nearly as bad but he says, “So you looking for something to ride around town?” to which i smirked and replied, “Actually I need something to ride around the world.” I discussed the desire for something light and nimble and he tried convincing me that the extra power could really come in handy. I’m sure the extra commission from upselling me from a 650 to an 800 comes in handy too! I’m pretty sure I’m not going to buy new, but it’s fun to look. There are plenty of people out there with an old unused 650GS sitting in their garage collecting dust, so I’m just going to wait it out. I’m in no rush right now. If you get to Europe hit me up. I got a beer with your name on it. The 800’s are nice, perhaps a bit to heavy for your purpose. I am looking for a KLR as well. I think for the money they are a great dual purpose ride. 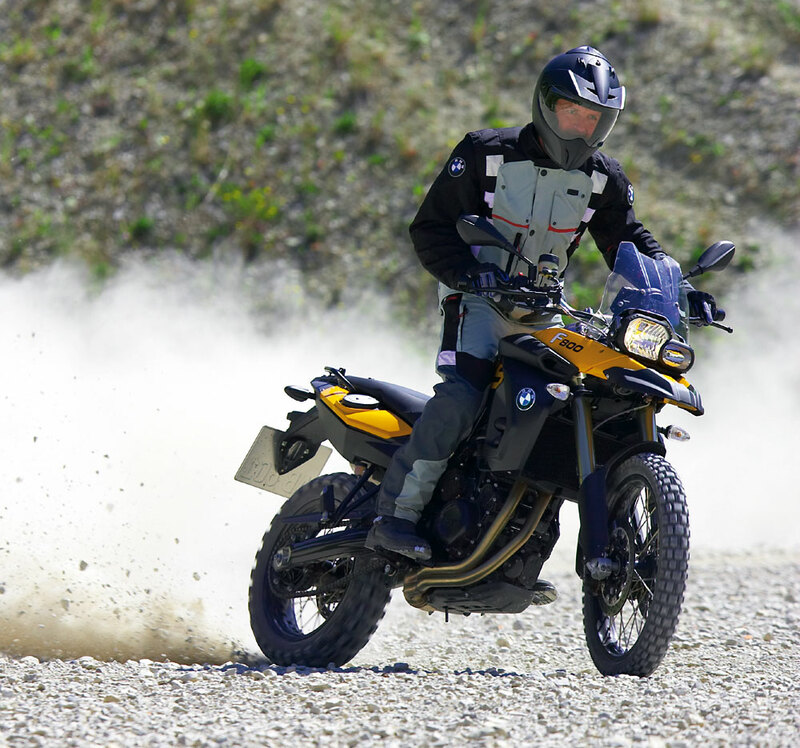 The F800GS is one of those bikes that is definitely on my short list, I’ll have to test ride one before I can say that I’m ready to let it share riding time with my KLR. Of all the bikes that I’ve owned over the past 34 years, I’ve never had one where the cost of ownership was so easy. I just ride it. The 6 gallon tank always gets me through the loneliest parts out here where fuel stops can be few and far between where I live and ride here in the Rockies of the Pacific Northwest. While she doesn’t excel in any one particular area, my KLR performs effortlessly with every task that I ask of it. I too would define myself not as a speed demon, rather my eyes are focused far beyond the distant horizon on my rides and the KLR never utters a complaint when I ask her to carry me there. Good luck in your search, you can’t go wrong with either the Kawasaki or the BMW. I’ll stay tuned. Not sure if I would go with an F650, it has a few too many electronic features on board I don’t like. My GF owned one for alomst a year and it spent a few too many hours under my caring hands in the garage. Not my forte. I like them as a ride, but technically I would go for something a bit more old fashioned like the KLR, XT(R), XLV etc. The less there is to break down, the better. Ow….and if you’r ever traveling to The Netherlands, drop me an email. Test rode the BMW 800ST Monday nice power was very smooth Didn’t like the weight(or Price!!) I think i’m going used VFR or Blackbird not exactly your around the world bikes but are solid sport touring platforms. Saw a 2005 Kawasaki zzr1200 with hardbags on craigs list for $4200 going to check it out after some online research. Good luck on finding your bike KLRS are good stuff. The 800s are nice, but yea I think it is too heavy as well. I know I’m going to be dropping whatever I get a lot, so I’d like it to be easy to pick back up. That’s really great to heard. The KLR hasn’t really been no my radar when considering bikes, but after hearing what you said and donig some more research I am drawn towards the KLR more and more. What electronic features did you not like? The most annoying features: The speedsensor in the rearwheel does not only drive the speedo, it also drives the Motronic computer, (Motronic is the old name, the F650 has a newer type name). Hence if the sensor or cable breaks, your bike goes haywire. Also, the TPS (throttle positioning sensor) sensor calibrates itself before each start. Try switching on the ignition with the throttle half open, then let go and fire the bike up, the throttle position will be affected. This is just plain stupid (and corrected on the newest model I believe). The speedsensor issue is a famous one. Make sure to bring a spare one for your trip. All in all it’s a nice bike and it handles great, but I don’t find it reliable enough for a RTW trip, you need more simplicity for that. Keep in mind that these specific types of electronics are the hardest to find when on route. Hmm, that throttle calibration does sound retarded. You’ve given me a lot to think about. Thanks for the info. 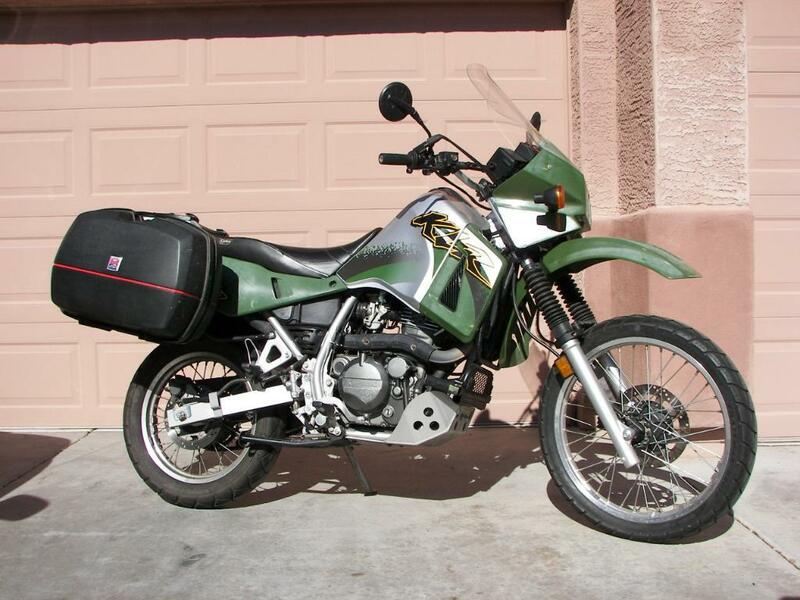 One more reason to go with the KLR, hmmm. BMWs’ are great if youve got a garage handy! I’ve had 2 1200GSs ,the second one was the barest spec by my request and the best.The 1st had everything , but had constant probs and I gave up on it when all the oil seals in the drive train went,things not required when in the desert! I never learned the teqnique of lifting it up,i’m 6 foot but a weed. I think weight is a major factor.I personally like the Yamaha Tenere’s,and had an old 750 for some time till it turned to dust!